Introduction. Anatomy of a Project. 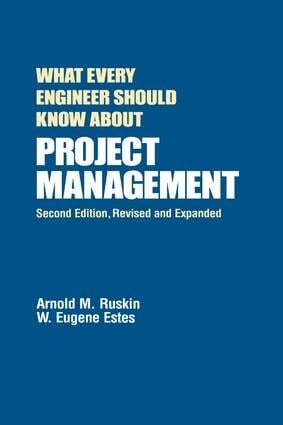 Roles and Responsibilities of the Project Manager. Planning Techniques. Control Techniques. Risk Management. Coordinating and Directing Techniques: Part I. Coordinating and Directing Techniques: Part II. Project Records and Reports. Negotiating. Epilogue. Appendix A: Work Breakdown Structure Paradigms and Processes. Appendix B: Transforming a Work Breakdown Structure into a Precedence Chart. Appendix C: Cost Versus Time Profiles. Appendix D: Measuring Project Progress: Percent Complete, Earned Value, and the Size of Work Increments. Appendix E: Questions to Assess Work Done. Appendix F: Cultural Aspects of Successful Matrix Organizations. Bibliography.